Traveling around the countryside in Hungary you will often see “ELADO” signs which indicate a property if for sale. 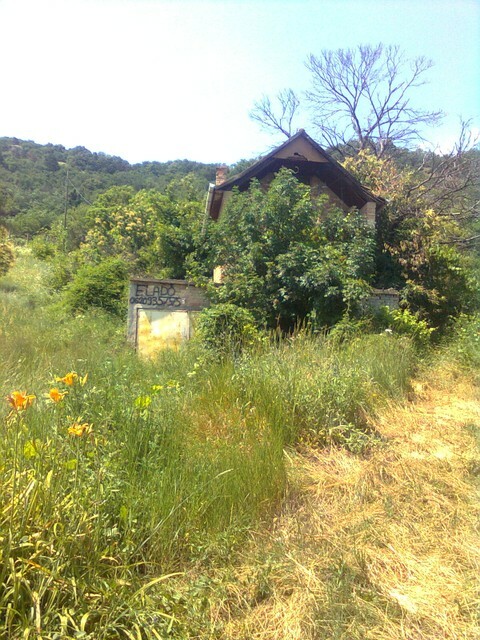 Usually you will see a run down property if you are really in a rural area outside a village. 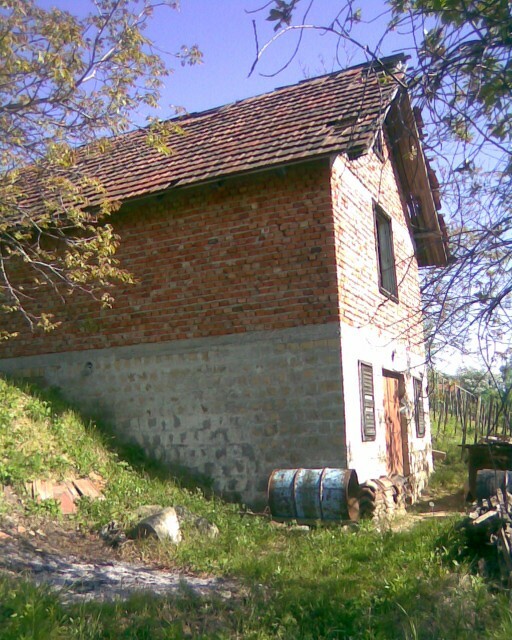 The rural real estate market in Hungary is depressed. There has been little growth in unit movement for years. If you are looking for property in Hungary it might be tempting to think that the depressed real estate market is a fiscal windfall. But in reality, you may be wrong in that thinking. Rural Hungary is poor. Making $500 a month take home salary is still considered a good income even now in 2014. One way that Hungarians make ends meet is they usually own their home or apartment which eliminates the expense of monthly rent or mortgage payments. And yet, for one reason or another, be it from inheritance from complex family structures or other reasons, Hungarians that do own property for sale often have more than one property. For one thing, it means the seller is not always in too much a hurry to sell. One property on our street had an “Elado” sign up for a decade. The property was priced above market value. The owner died with that “Elado” sign up. And for another, once a seller knows you are not a Hungarian, expect the price to go up at least 40% (and probably more). And they will quote a price that is pretty fixed and may refuse to budge despite being over market value. Negotiations are often futile. Even if you can negotiate a lower price, given the fact that foreigners are charged more to begin with, you will still probably over pay the market value in all cases. Being from “out of town” and thus overcharged is not a Hungarian novelty as Mr Blandings discovered (great to listen to it all, but skip to minute 10:15 for “standard top gouge price to city slickers”). And even fairly intact houses will need some renovation in the not too distant future. Little money, it seems, is spent here in maintaining houses that are for sale. So a new “old home” owner should always assume there will be some unseen issues in the walls, or under those many layers of paint, that you will have to deal with in a few years or sooner. Elado – a.k.a. Property for sale. Notice the missing shingles in many places, and failing roof visible in the right of the photo: this property has been left to deteriorate while it is for sale. And of course you are buying in Hungary, which has all the Hungaricums that come with living or owning a house here. Do not assume simply because Hungary is in the EU that it necessary plays by EU standards. Simply because Hungary shares a boarder with Austria, it would be fallacious to assume that it has Austrian or Western ways of thinking and ways of doing business. It is Hungary. It is different. It is a unique culture in Europe. This is interesting. What specific ways they are not following EU standards? Which standards? One example related to housing: not all devices sold in Hungary for installation and use in residences have had the correct CE certificates required by EU law. Personal experience. Attention to details such as following, if not the letter at least the spirit of, laws and regulations are unfortunately not strong points in Hungary. This may make Hungary a potential destination for products that might not be otherwise sold in other parts of the EU legitimately. Not housing related (and a bit dated from 2009), but also see the below EU investigation and enforcement action to check for compliance with consumer protection laws (in the entire EU, only Hungary and Cyprus failed in 100% of the checks). I like Hungary, but you have to know what you are getting into when deciding to live here. Ok, i see. You are talking about individuals not following laws or regulations not as country not following EU directives. But of course, as a consumer, you need to be careful what you are buying, especially if something looks cheap. There is usually a reason for it. Building standards have been changing widely (pre 89, 89-2004 and 2004-, and not always to the better) and especially early boom had lot of bad construction, But that almost entirely relates to Budapest flats. From regulation point of view, Hungary is actually from risk point of view in our books “low risk country” due to reasonably well defined regulation, especially compared with south europe and some other ex communist countries where there are still lot of disputes in property rights etc. I assumed you referred this as i know tens of cases where people are fighting in courts for clarification of ownership and easement rights some times for years. I am talking about individuals both as private persons and as members of government (politicians and civil servants) and thus taken all together making a country. Thus, for example, when regulators who are suppose to verify something that crosses their desk and it clearly is not within EU standards (or even within national standards) then “let it slide”, and if this happens often, then one might say the country is de facto not following set standards (either national or international standards) due to the responsible individuals not following said standards. In other words, the fish often stinks from the head. But, and this is very important, no place is perfect. So, even if there are, for example, complex questions about property ownership and the courts are unable to reasonably resolve such issues, that is just another something to be aware of if purchasing property: it should not mean one should be scared away and completely avoid purchasing. By the way, you might like watching this British series http://www.channel5.com/shows/cowboy-builders/episodes – if nothing, it is pretty educational to remind to look out when hiring someone. Qualtiy assurance before and during construction is always easier than afterwards (although i never have had a construction without quality claims but still). Was in California during the 1980’s building boom. Saw lots of questionable construction. Buyer beware. Within EU consumer protection (or standards compliance) is to high extent assumed to be done by either competitors (the same way as Greenspan assumed banking regulation to work….) or consumers as it is not possible to enforce all regulations by authorities (pretty much all EU countries). Some countries (like HU) people are either unaware or might not actively pursue their rights as well as e.g. in Sweden which has had consumer protection since “forever” instead of last 10 years or whatever. So you are right, you need to be careful if buying things from “some places” – you might end up buying even stolen goods or goods without duties paid etc. Also not necessarily all webshops actually operate in the same country where you use the product (Madeira, Ireland are typical for tax reasons) that makes a difference as well – although basic regulations are the same, enforcement can be very difficult. There are areas of industries in Europe (like leasure boats with its CE categories) which are relying heavily on self declarations and competitors with random spot checks. No country, not even the US, can pursue all those that break regulations. Not all speeders on the road are caught, for example. So many regulations are mostly there to keep honest people and businesses honest (which is enforceable only with realistic and at least occasionally punitive consequences when they are caught). But, as stated above, it is a completely different matter when a regulator is provided on their desk (so no pursuit was necessary) the task to verify that a specific product or construction is following the regulations; and it does not, yet they still approve it anyway, then that is a national problem. And the reasons for that can vary widely: because of corruption, incompetence, apathy, or simple laziness. And given the complex, yet oddly and at the same time highly vague, Hungarian laws and regulations I think bureaucratic incompetence (they do not understand their own regulations), apathy (do not care if the regulations are followed or not), or laziness (do not bother to understand their own regulations, or do not bother to do a field check that the on site regulations were actually followed) may happen more than many people realize. Given all the Elado signs on practically every street in Hungary, I can play this often. But I must say it’s not as bad as it was a couple years ago, at least in Budapest. Perhaps the flat tax is having an effect. “Property Management, Food Service, Home Construction, Boat Building, Tree Trimming, and Language Translation Kft.”. Unable to get any reasonable income in any one profession, they pick as many business topics as possible. Of course it lacks a business plan, and any and all focus on a core area of business competence, but that is a fact of business life in Hungary. And that also may in part explain why the trees here are trimmed so badly.